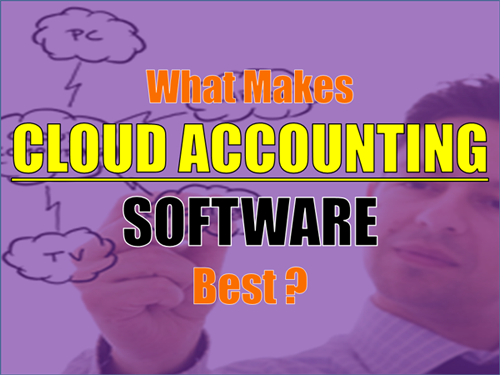 What Makes Cloud Accounting Software Best? 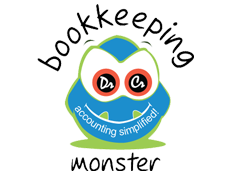 Cloud accounting can also be called online accounting, and this is where accounting functions are performed on the Internet. Businesses that embrace cloud computing or cloud accounting Software are able to give their employees access to the data and information they need in any location there are. Cloud accounting software can also be accessed on multiple devices such as desktops, smartphones and tablets. What Makes Cloud Accounting Software Best ? It is important to mention that cloud accounting software is not any different from the software installed on a local machine that employees use in the office. The only major difference, which is also an advantage, is that cloud accounting software allows you to store financial files outside your business premises or office. The advantage in remote file storage is that your files are well secured from disasters such as fire compared to when they are store locally. To access the financial files stored in the cloud, you only require Internet connection. Most vendors of cloud computing Software have honed their servers so that users can quickly upload new files and consume less bandwidth when working on the cloud software. Cloud accounting software’s are automatically updated thereby allowing businesses to focus on their core operations to generate more revenue and profits. There are numerous advantages of cloud computing or what makes cloud accounting software the best in this age. 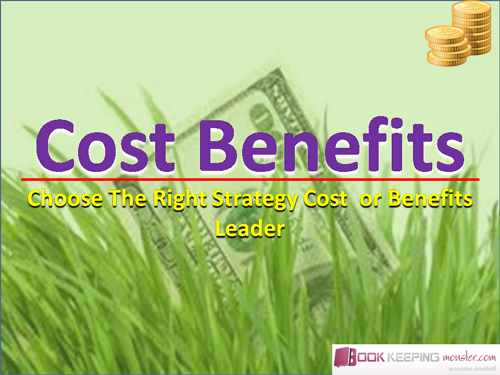 cost benefits- choose the right strategy cost of benefits leader. Businesses do not need to incur extra costs to store files locally or backup files. Cloud accounting software vendors understand the needs of businesses, be they large or start-ups and they bundle cloud computing packages that suits every kind of business. This not only allows businesses to reduce their operating costs, but also eliminate tedious jobs such as scheduling backups and so on. The prime benefit of cloud computing is ease of access. Employees are able to access business files without the need to install any extra software. Cloud accounting software also makes business financial data available anytime and anywhere to employees when they need it. The portability of cloud computing ensure that employees can work anywhere to ensures that deadlines are met. The other access benefit that comes with cloud computing software is that access is available on multiple devices, allowing employees to work on the go. and also between employees and employers. The ease of data sharing offered by cloud software ensures that managers can keep track of work progress even when they are out of the office. In essence, cloud computing software allows for real-time work assessment, which is important in eliminating potentially costly errors, especially in accounting documents. It goes without saying that hosting files in the Cloud accounting software provide far greater security than keeping them in-house. Cloud vendors also provide file backup solutions, which ensure that a business is safe from loss of crucial data in case of an accident in the local office. Data recovery is also easy with cloud computing. Vendors of cloud accounting software and other cloud services are aggressively working to make the solutions more secure, accessible and affordable.